95% of British Sikhs are proud of being born or living in Britain, according to British Sikh Report. Inaugural report looks into several key areas affecting the British Sikh population in the 21st Century. 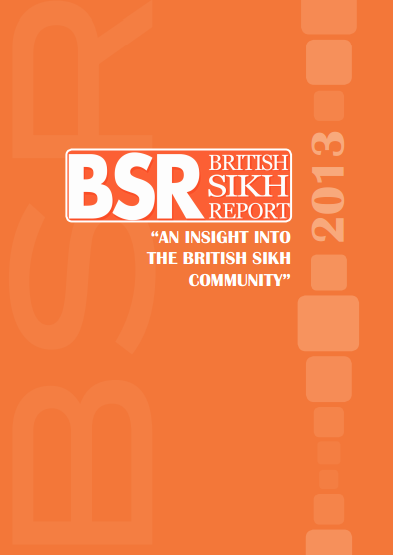 The British Sikh Report (BSR) is the first strategic document of its kind, aimed at Local and Central Government and national institutions, which highlights the thoughts and aspirations of the British Sikh community in the 21st Century. Compiled by a collective of British Sikh professionals and academics, it is based on quantitative research and will be used to help meet the Sikh community’s wants and needs. Taking inspiration from the Jewish and Muslim communities, the BSR will offer government bodies, and other organisations with a vested interest in promoting integration across all levels and forms of society, an insight into the British Sikh community, allowing them to utilise this information and use it to better collaborate with the current British Sikh population. Amongst many things, the report found that 95% of British Sikhs are proud of being born or living in Britain despite almost three-quarters of them (74.5%) having experienced racism in the UK at some point. In terms of integration, British Sikhs can be found in a great variety of professions, with over 357 different professions given by the respondents, including less stereotypical ones such as director or consultant. However, over a third (36.1%) of respondents have experienced discrimination of some sort in the workplace. Furthermore, 96% of British Sikhs would like to see more Sikhs on mainstream British TV, including in documentaries, sports-based features and in fictional dramas. An event on Tuesday 4th June 2013 will see Kulveer Ranger, Fabian Hamilton MP and others in attendance at Parliament, to discuss the various sections of the report as well as share their thoughts and insight into the importance of such a document. British Sikh Report © 2012-2019 All Rights Reserved.